ERIC M. ZIM | Horwitz & Zim Law Group, P.C. Eric M. Zim is the founding partner of Horwitz & Zim Law Group, P.C. (“HZ Law”) and is the firm’s managing partner since January 1, 2000. Eric M. Zim is among New York’s most successful and prominent real estate attorneys. For the three consecutive years, Development Magazine has ranked Mr. Zim among the “Top 100 Real Estate Lawyers” in the City of New York. Mr. Zim earned his undergraduate degree from New York University and his Juris Doctor from Hofstra University School of Law. He is a member of the New York State Bar and is admitted to practice in the Eastern and Southern Federal District Courts of New York. Mr. Zim is the principal trial attorney for the firm. He has engaged in the practice of law for over two decades, and litigated cases on such various and diverse issues as commercial and transactional real estate disputes, mortgage foreclosures, legal malpractice, brokerage commissions, rent strikes, and lease disputes. Mr. Zim also acts as counsel to cooperatives and condominiums, advising them on their day-to-day affairs, including shareholder disputes, mortgage refinancing and reviewing contracts with vendors. In addition to representing corporate clients, individual building owners, real estate developers and real estate management firms, Mr. Zim brings to HZ Law the additional expertise of handling Landlord & Tenant disputes, having been a Court Attorney for the Civil Court of the City of New York. 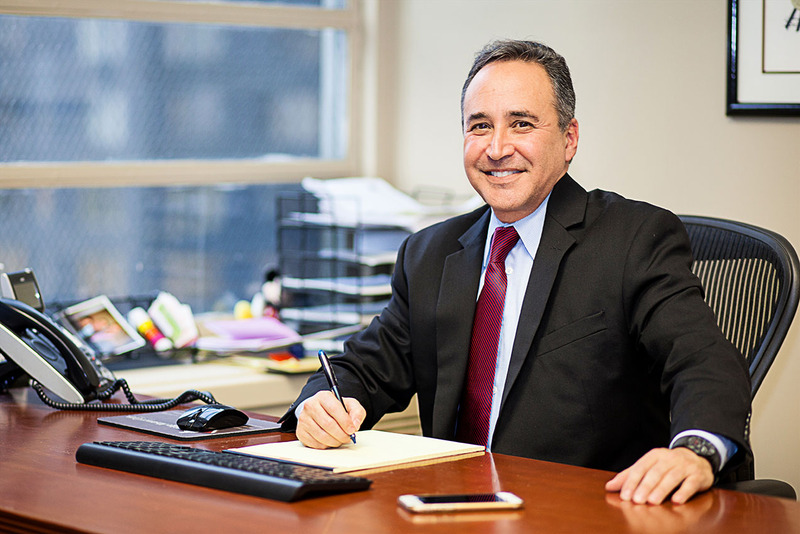 His trial experience extends too many cases in New York Civil and Supreme Courts, including complicated non-primary residence, owner occupancy proceedings and commercial holdover and non-payment proceedings. Mr. Zim also represents several non-profit institutions. Mr. Zim has drafted and negotiated store, office, retail, triple net, ground, telecommunications and loft leases on behalf of both owners/developers and tenants, covering hundreds of thousands of square feet of leased space in office buildings, strip centers and residential and commercial buildings. Mr. Zim also handles commercial and residential transactions involving the purchase, sale and financing of properties and developments. Mr. Zim also handles the firm’s real estate related bankruptcy issues, including lease default issues, lift stay issues and assignment/sale of leases in bankruptcy. Mr. Zim has lectured at Real Estate Board of New York on cooperative and condominium sales contracts and for the Rent Stabilization Association at the New York County Lawyers Association on residential non-payment proceedings. He has been appointed Receiver and Referee, over 100 times, in numerous foreclosure actions. The New York City Bar Association frequently refers clients to Mr. Zim based on his extensive experience and qualifications. Likewise, the Rent Stabilization Association recommends Mr. Zim as attorney of choice to represent its members in Landlord & Tenant real estate litigation. NAACP Roy Wilken Center, Inc.